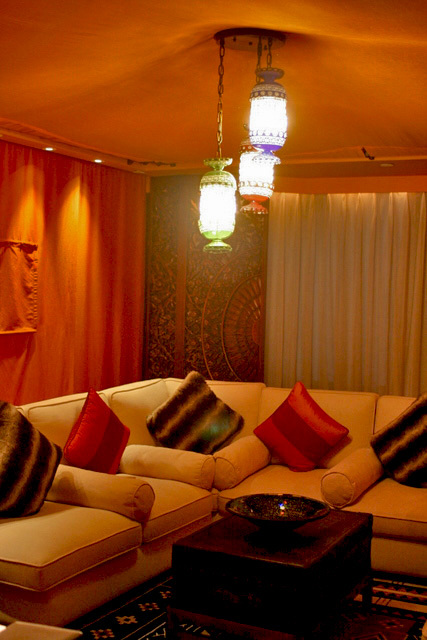 The Safari suite is decidedly Arabian-Moroccan with hints of Persia and the Silk Road. 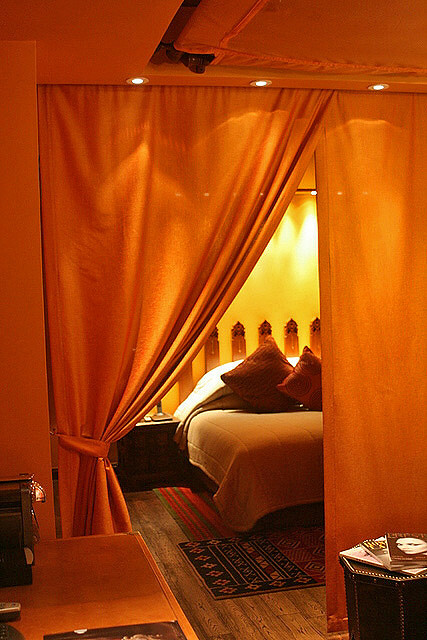 Peel away the curtains in the living room, and you'll access the bedroom. 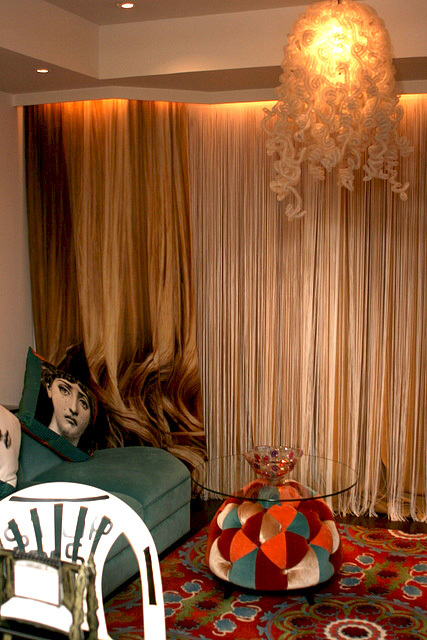 The living room's got that exotic harem feel, but very tastefully so. It's even got that silken canopy on the ceiling, anchored by the intricate metalwork lamps. 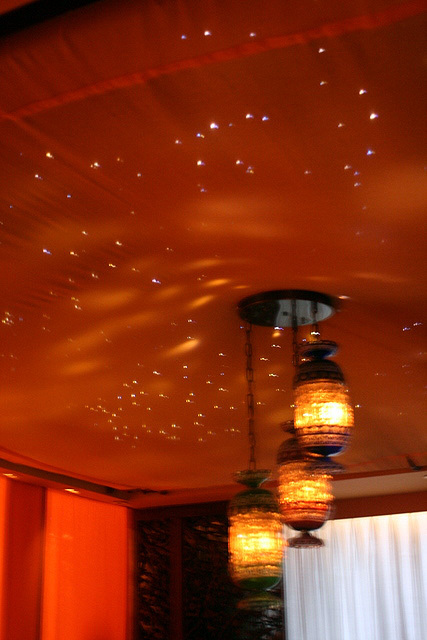 When you dim the ambient light, a surprise awaits - "stars" twinkling above the canopy! It is such a beautifully romantic effect. Sorry for the fuzzy photo, but I had no tripod with me, and we had to shoot this in near darkness to capture the "stars". 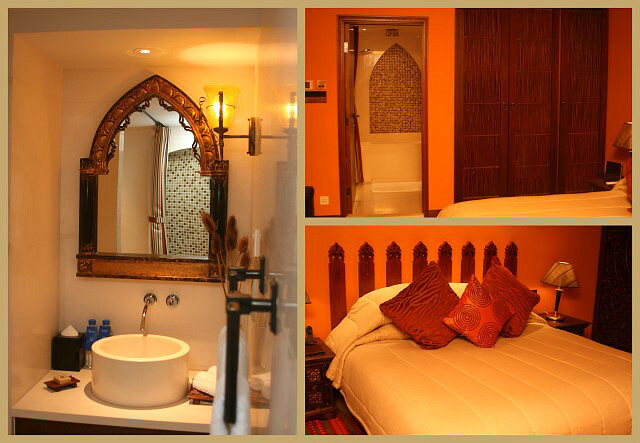 The Safari bedroom and ensuite toilet have very pretty Arabian accents. The writing desk is like a vintage leather travel case! The chair is part of the table, and can be pushed back into the recess when not in use. 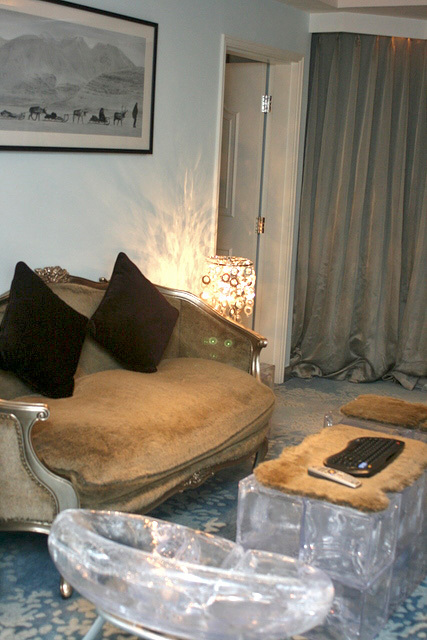 The Nordic suite is a total contrast - it's all things furry and frosty! 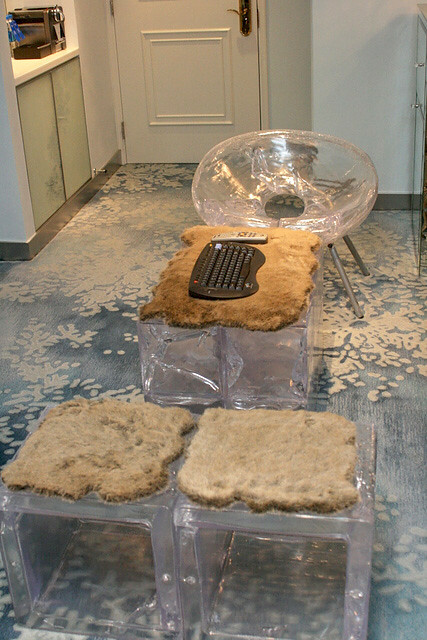 It has furniture that looks like it's carved from blocks of ice. 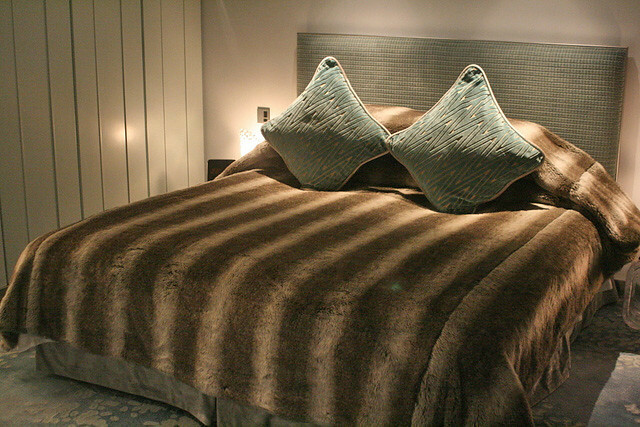 It may be an icy theme, but the bedroom sure looks warmly inviting! 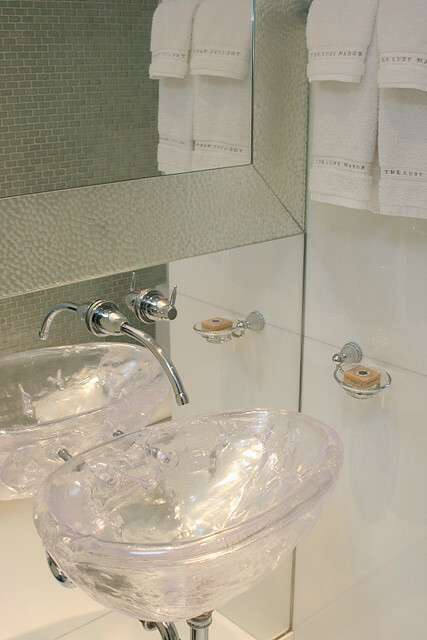 The ice-like theme continues through the bathroom. 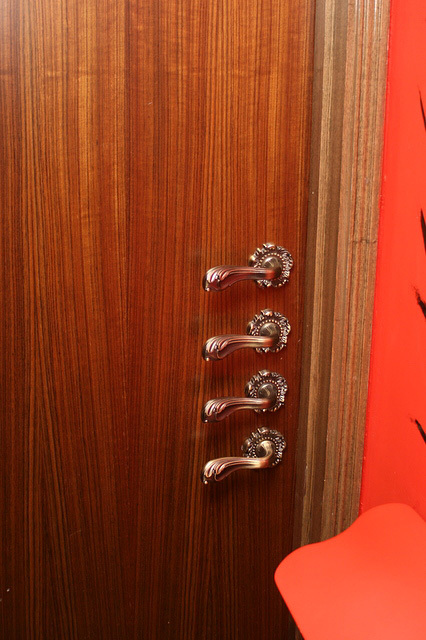 And even the door knob's been specially chosen to match! There is great attention to detail. 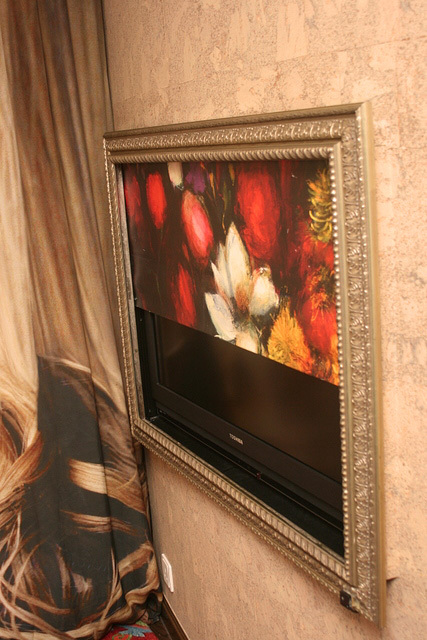 Our favourite suite though is the Mirage suite, where everything is not what it seems. The curtains look like blonde tresses. And there's fun furniture everywhere. 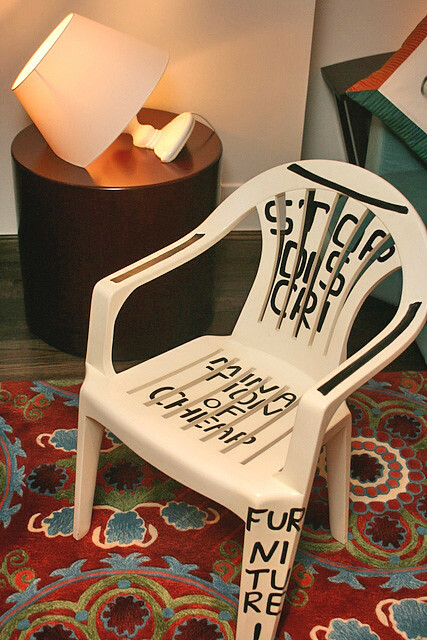 This is not a plastic chair. It's solid wood! I love the irony. Check out the semi-submerged lamp too! The doors are a hoot! Which handle is the one that really opens? 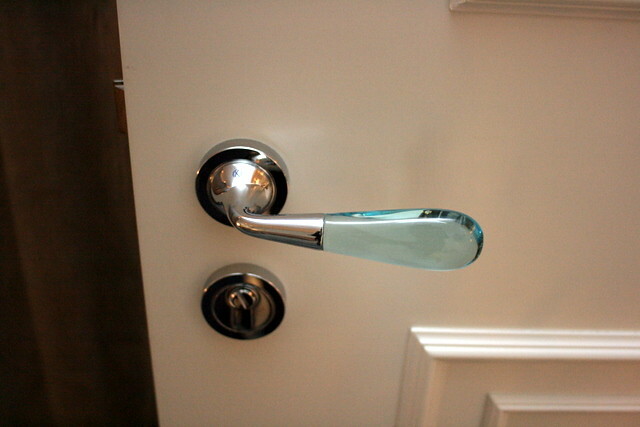 Wouldn't it be cool if each handle opened up a different room? 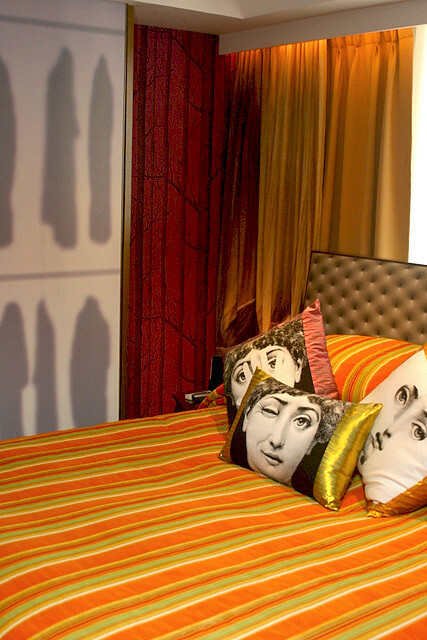 Quirky cushions and wardrobe panels with clothing silhouettes add interest to the brightly coloured bedroom. Even the bedside table is a surrealist surprise, juxtaposing reality with the ridiculous. Who left all the clothes on the rugs? 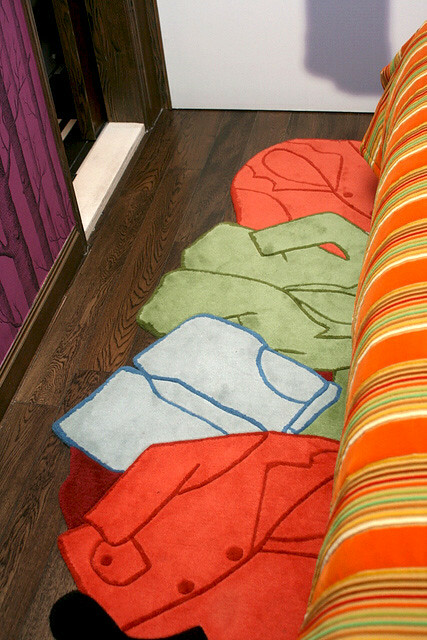 Oh wait, those are the rugs! 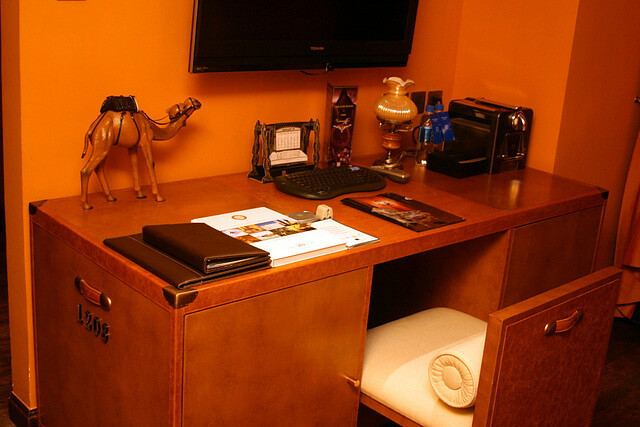 There are so many playful details within the suite to explore. 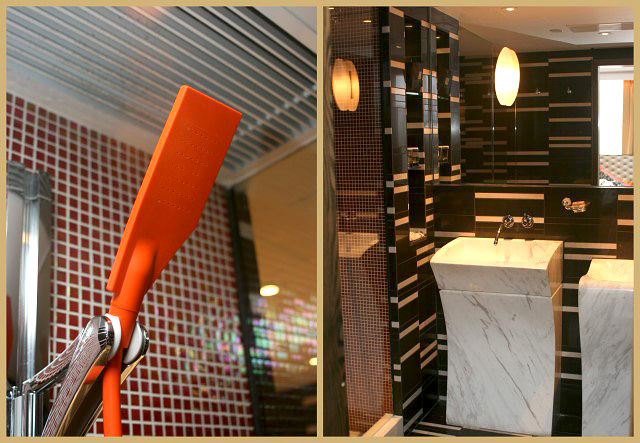 Even the showerhead in the Mirage suite bathroom is rubberised and bendable! 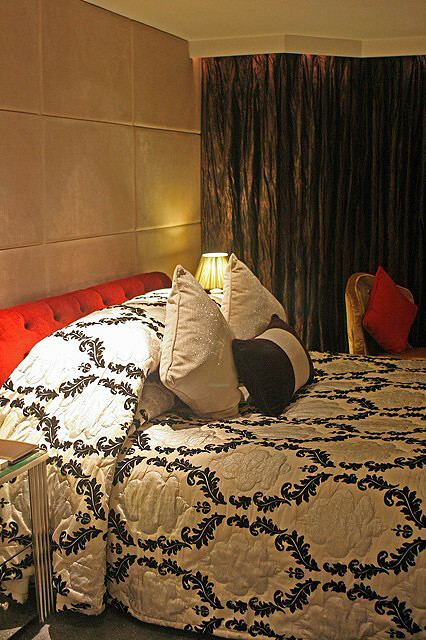 By comparison, the Royale suite seems almost ordinary, even with all its posh fittings and furnishings. You can see why. 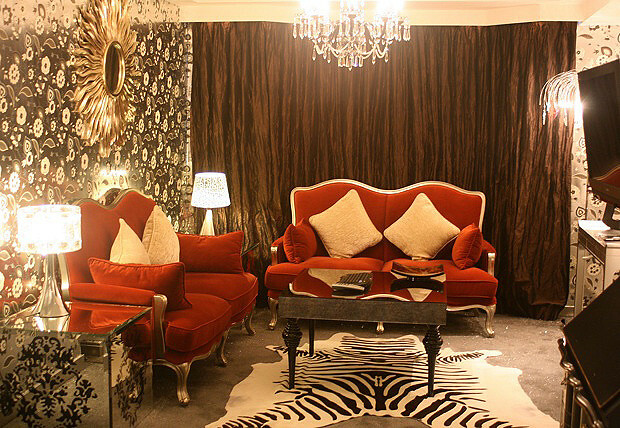 The Royale suite practically screams screen goddess opulence and over-the-top flamboyance. 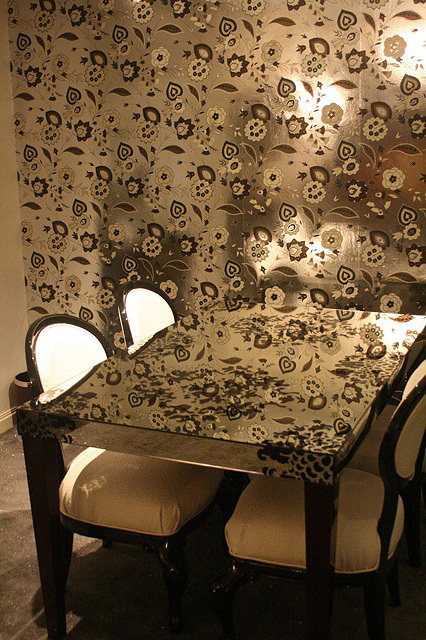 The mirrored table practically melds with the silvery wallpaper. Divas don't share, so you get twin wash basins for your bathroom. Only one long bath and shower, as those are obviously more fun with company! These are the four suites I was fortunate enough to view. The other two (Chic and Liaison) were occupied. 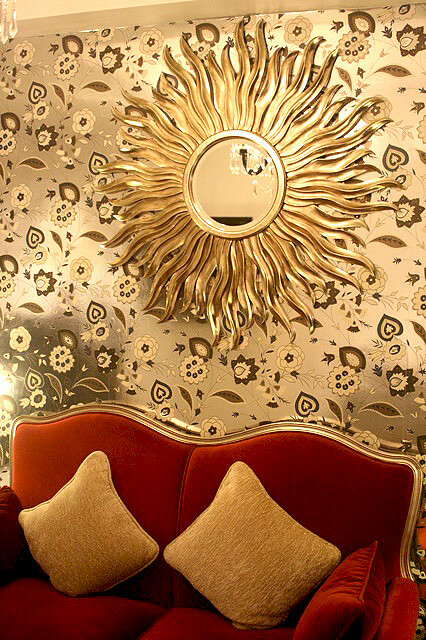 You can view the hotel's themed suites brochure to see more if you like. 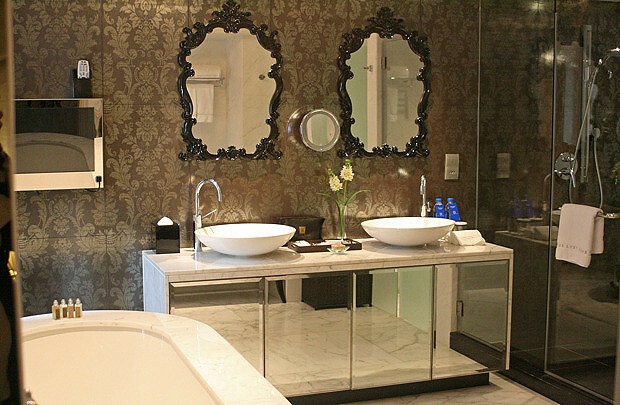 At 500-760 square feet each, these suites are easily double or triple the regular rooms, and each of them are an exquisite flight of fantasy and indulgence. Perfect for that special occasion or anniversary, don't you think? Rack rates start from HK$8,800 (about US$1,128) for these suites, but as usual, ask a travel agent, or check online rates or your office for corporate rates. wow, all the rooms look very posh! Wow, the themed suites look fabulous! !